Super nice young bird down from our best Perfomance bloodlines. I have 9 kids of "Dark Horse Jr" in my breeding loft & multiple grandkids. Sire is "Dark Horse Jr" one of the best breeding sons of Nanez Famous "Dark Horse" when he was mated to "Naomi" who is a full sister to "World Ace" 1st Ace World Ace Challenge OLR winning $300,000USD. Dark Horse is sire to 2nd Grand Avg & 4th Final SAMDR. 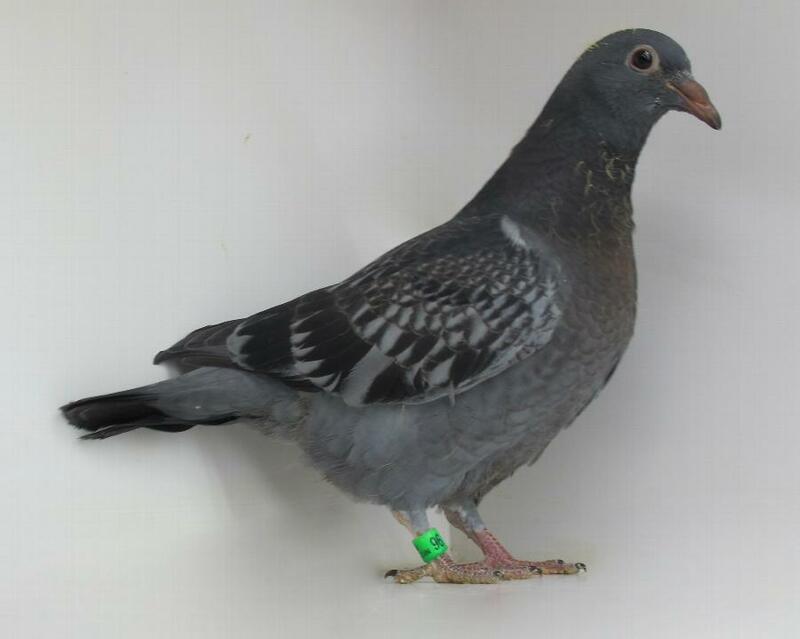 Dark Horse jr is sire & grandsire to 21+ 1st vs up to 3,619 birds, Ace Pigeons in local & one loft competition, & champion birds. Dam to 96 is a full sister to "Thunder Bolt" who is dam to "Midwest Nikki" 1st 442mi Topeka Midwest National Classic vs 3,619b '16 2min lead & granddam to "Ricky Bobby" 1st 350mi Fall Classic OLR '17. 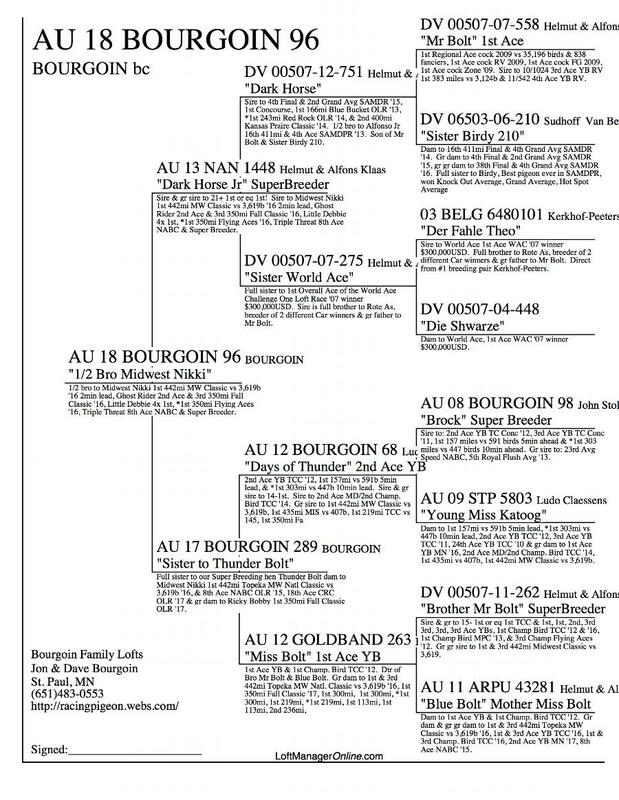 96's dam is a daughter of "Days of Thunder" 2nd Ace Young Bird & 2x 1st Concourse 5min & 10min lead '12 when Days of Thunder was mated to "Miss Bolt 1st Ace Young Bird & 1st Champion Bird Twin City Concourse '12.